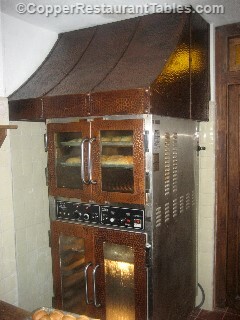 We began in 2006 near the largest center of traditional copper work in the New World. 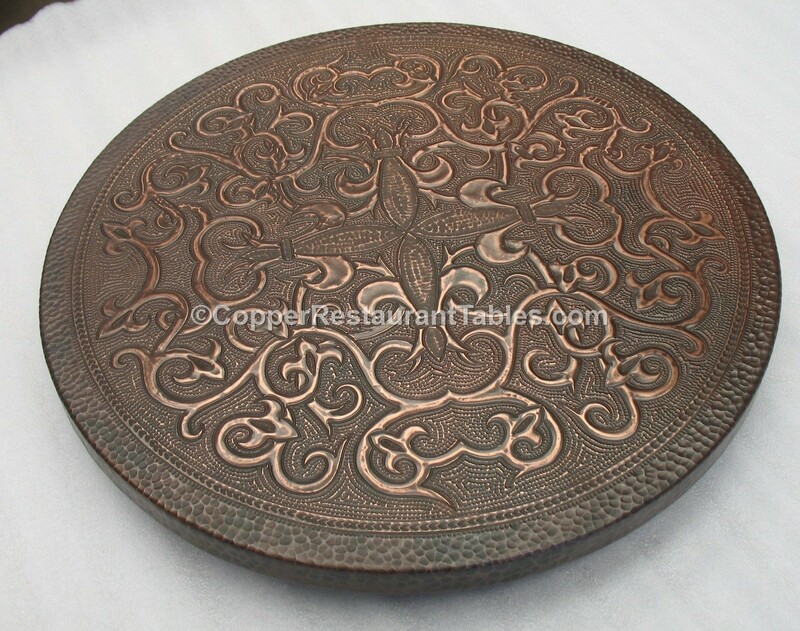 For this reason, we can bring you the finest hammered copper work, at the best prices. We warehouse on both sides of the Mississippi or send directly from Mexico. We understand shipping and packaging very well, know how to make timely shipping work, and take complete responsibility until the items are in your hands. We focus on truly personal service, a guarantee of satisfaction, and excellent prices. We personally inspect every item, in the sunlight, and send out only perfect pieces, with every element of welding, hammering, and handwork at the highest level. 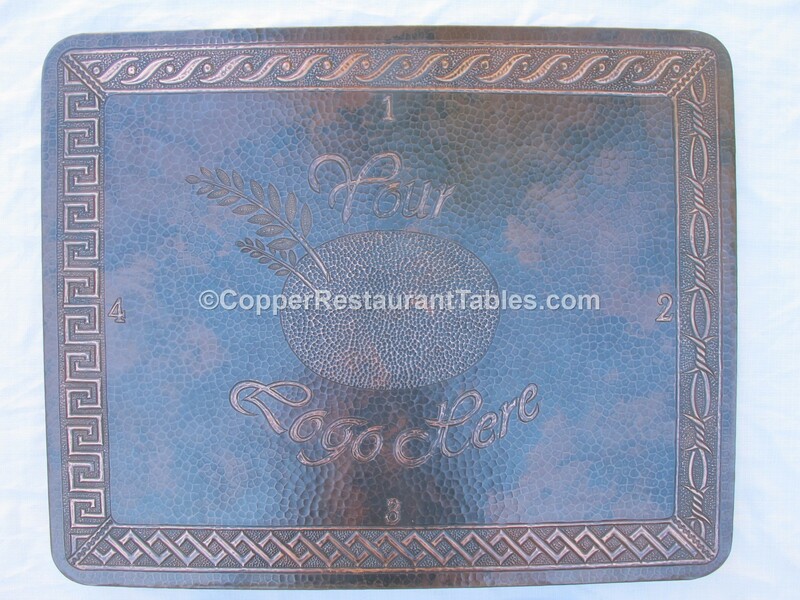 When you purchase copper top tables or just the copper table top from CopperRestaurantTables.com, you can be assured that the copper top has been hand hammered by a master artisan in a shop that pays fair wages and places the safety of its employees at the forefront. 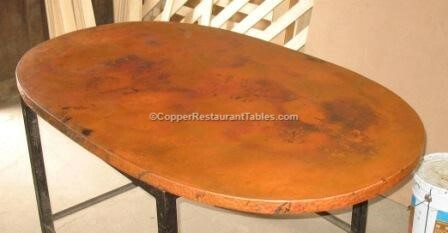 Our copper table tops are made from high quality recycled copper and are naturally finished with heat-raised patinas. 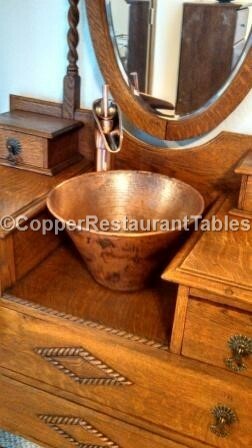 As an extra-added bonus, copper has been proven to have antibacterial properties if left bare. 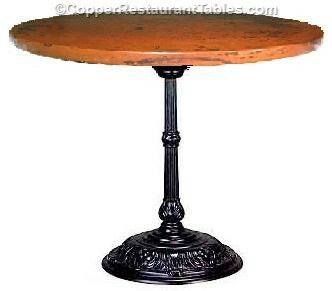 We guarantee that our iron bases are of restaurant quality both in style and strength. When you call us, you speak with us, not a customer service representative. 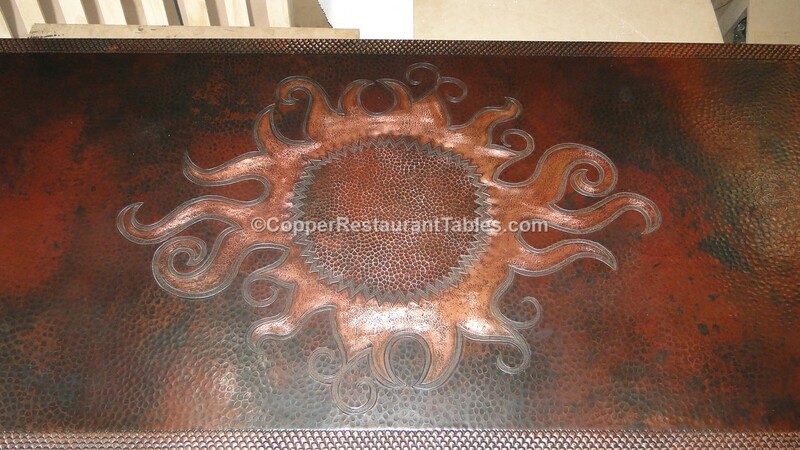 We work very closely with you and the copper smith on every detail of an order and we personally inspect every copper table top that leaves the shop. 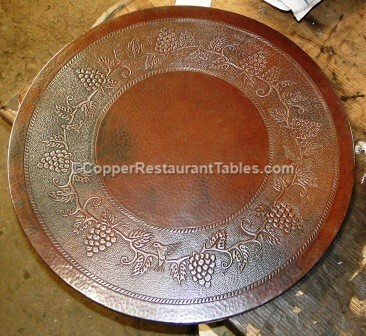 If a copper table doesn’t meet our standards for quality and beauty, then it is reworked until it does.